Hey guys!!! It is 2 days before I turn 39. This is NOT easy. My husband is concerned already about a year from now when I am about to turn 40. He is sure we will be spending it in my padded cell. We might be, I mean, might as well bring 40 in, in a memorable way. Anyway, this Chicken Cordon Bleu is so easy. It is one of the first meals my husband cooked for me. It is a favorite of me, Cody and George. We use to have it on special occasions mostly. We used to make it the "real" way. Pound the chicken thin, lay the meat and cheese on top, roll it up, blah, blah blah. Cody would LOVE for George to double Ziploc the chicken, let him put a newspaper on the kitchen floor and whack at it with the meat mallet. Ya know, a boy with permission to hammer stuff until it is paper thin? Yea, loved that. However, recently we started doing it this way, just because it seemed easier and less time consuming. You might have to use your fingers to make the opening a bit wider, but I promise it works beautifully. As long as you seal up those ands well with flour, egg and breadcrumbs, it is all good! We love it and hope you do too. As you can see it is gorgeous AND delicious. Now these ARE fried for a minute. They in NO way are greasy. You just have to brown up that breading and we prefer doing it the old fashioned way. We don't eat this often so I don't mind frying and then baking them off. If you don't roll like that, you can try just baking them all the way, but I have no idea how they will come out. We have always used regular dried Italian seasoned breadcrumbs, but this time we used seasoned panko and loved it!! I have written this out, perhaps in a bit of an unconventional way. All of the ingredients are in BOLD PURPLE lettering. Maybe I should change it to red so you can see it better. Ok, done, it is now bold and red. 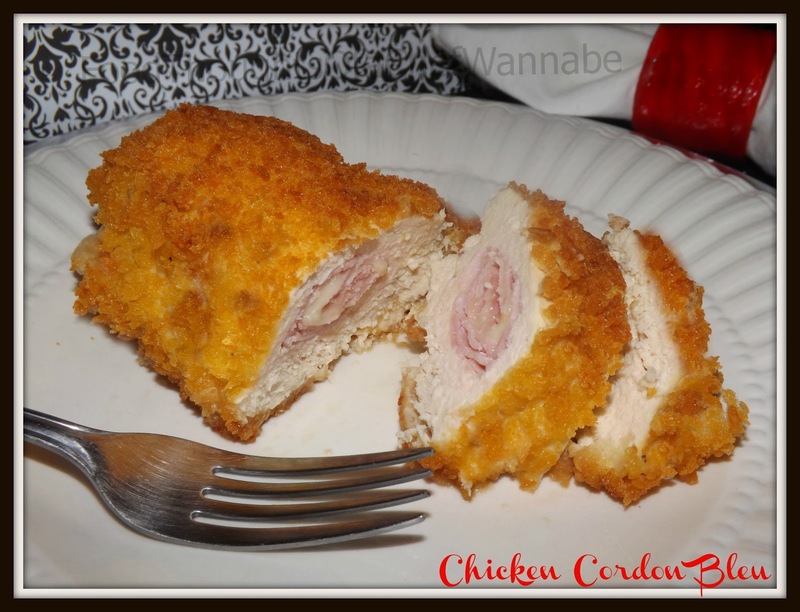 Anyhoodle, enjoy this Chicken Cordon Bleu made easy! Before anything else, make your meat and cheese rolls. Sandwich your cheese between 2 slices of ham, roll into a tight log. 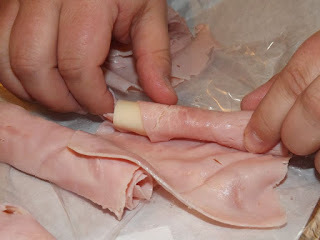 Do this with all of the meat and cheese so that you have 6 meat/cheese rolls. Set aside and prepare chicken. Take your chicken and stand it on end, place a long thin knife on top and pierce all the way to the bottom, in the center of the chicken. When you reach the bottom rotate your knife, making the whole big enough for the rolls to slide into. 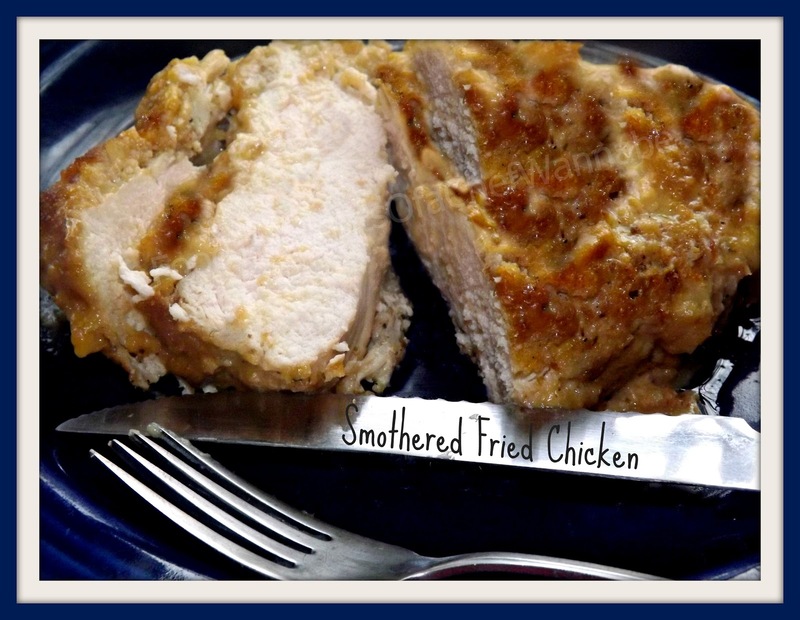 Repeat with all chicken, slide 1 roll into the center of each and place on a platter. Now to dredge the chicken and prepare for frying. Shallow Bowl # 2 - beat 4 eggs well. Cover chicken in flour mixture completely, dip into egg mixture and pay special attention to the ends where the ham and cheese can be seen since you will want that sealed well with bread crumbs. Then cover heavily in bread crumbs. Set aside until all are done. Preheat your oven to 350 degrees. In a high sided skillet, add in 2 cups of oil (your choice), when the oil is ready (toss a bit of flour in, if it sizzles it is read) place 1 or 2 pieces of chicken into the oil and fry only long enough to brown it. We aren't cooking it all the way through, just beautifully browning our chicken, about 2-3 minutes on each side. Do this over a medium heat as to not burn the chicken. Place until parchment lined baking sheet. Repeat with all pieces of chicken. Place in the oven for 45-60 minutes, depending on the size of your chicken breasts. When they are done, allow to rest 10 minutes before serving!!! We almost always serve this with asparagas or green beans. Sometimes a little side of pasta. You do what you want, just make sure you do it soon!! Sometimes, one of my favorite things is to peruse (omgosh, my sister uses this word ALL the time and it drives me NUTS and here I just used it) the store, grocery store, Target, drug store, ANY store with food and see what I find on sale or on clearance and then write a recipe around it. When my creative juices feel all dried up, it gives me inspiration. That is exactly what happened when I found this bag of Whoppers. I seem to have these fond childhood memories of my dad making us "malts" in the blender as kids. Not shakes, malts. He used that wonderful malt powder we all know and love! 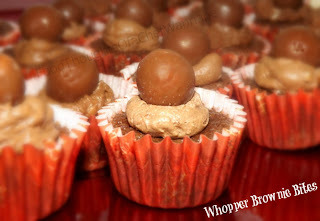 The Whoppers just confirmed that I needed to make something chocolate...malted....and delicious with them! I will confess something, right here, and right now. I have never made homemade brownies. Yes, I know, shoot me now. The good thing is, I will from now on! This recipe from my mom is amazing. I of course added some malt powder and such but, on the regular, you can bake these in an 8x8 pan! They are SO fudgey which is how I like my brownies! Preheat oven to 350 degrees. Using a mini muffin pan, add liners or spray liberally and set aside. In a medium saucepan, melt butter completely. Remove from heat and add cocoa, malted milk powder, sugar, eggs, vanilla, and salt. Mix until completely combined. Now add in flour, mix until JUST combined. Using a teaspoon or small cookie scoop, fill each cup about 2/3rds of the way. You should get 38 mini brownie bites out of this batter. Bake for 12-14 minutes, until a toothpick comes out clean! Let cool completely. Mix all ingredients. Place in a piping bag or use a teaspoon and add a small dollup to the top of each brownie. 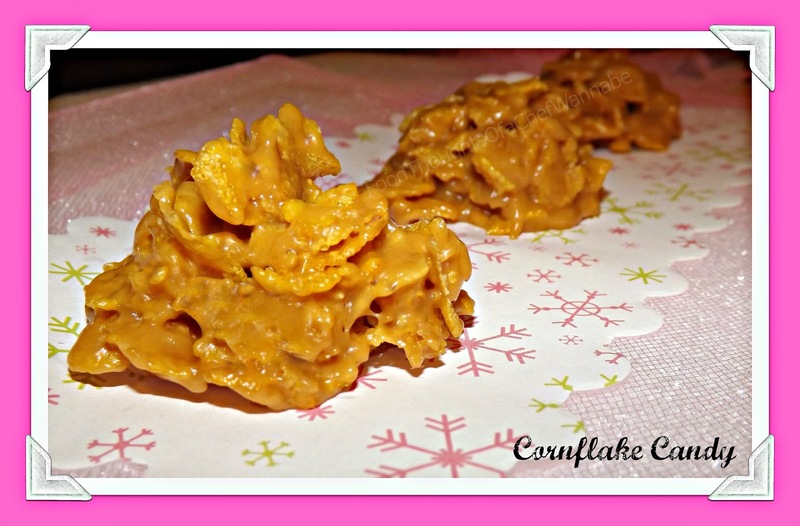 Use a star tip or plain piping bag, or heck, use any tip you like! Add a whole Whopper to the top of the dollop of icing! Make sure to keep these sealed in a container to keep them fresh until you are ready to serve. You could also freeze these!! These are so good and will work wonders on your chocolate cravings! ANYTIME!! I finally did it! 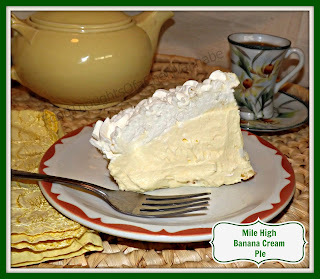 I have been talking about and thinking about banana cream pie for SO long. I don't know why I didn't just do my own thing to begin with. I guess, because I was sure the perfect recipe was out there. Well I am here to tell you it isn't, or rather, it WASN'T, but it is now! For those unaware of my plight, I was trying to replicate a pie that I had at my husband's 40th birthday that someone brought. It was mousse-ee, not custard-ee. It was tall, and decadent and perfection. Now, this is coming from the girl who doesn't like bananas! I like banana flavor just not bananas. All slimy and mushy, ick. And even though I was going to incorporate ZERO fresh nanners into this masterpiece my friend Danielle from @ Hugs and Cookies XOXO convinced me that to leave them out would be tragic and unforgivable. FINE, I said, I will. I did, and boy did she save my behind! 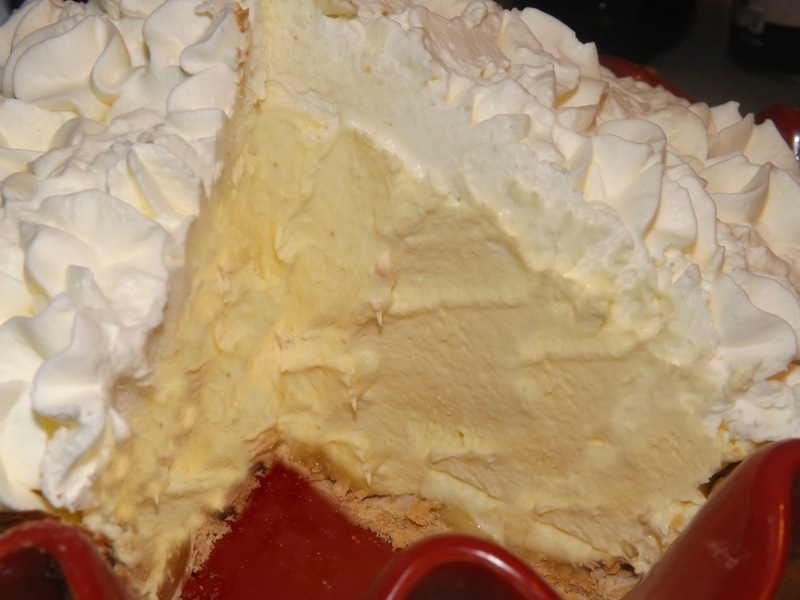 I realize many banana cream pies are topped with coconut. For the love of banana cream pie....WHY? Coconut cream pie, I understand. But, why? It isn't suntan oil, some things just shouldn't be mixed! Anyway, I did not top mine with coconut, not fresh, not toasted, not shredded or sweetened, NONE. Now a few crushed macadamia nuts might have been good on top. Mental note has been made. Many banana cream pies are made with meringue, but since I was doing it MY way, I chose a Chantilly Cream topping. (sweetened fresh whipping cream). Two recipes, BOTH very easy for the price of 1. Now where else do you get THAT sort of deal? If you chose to buy a pre-baked pie shell the next few steps can be skipped. If you made your own (standing ovation for you) or you bought just the unbaked crusts, keep reading. Preheat your oven 425 degrees. Lay your dough, after it has been rolled out, into a deep 9 inch pie plate. Make sure to use a fork and prick the pie all over so it doesn't puff out on you. Bake for 15 minutes at 425 and then reduce heat to 375 and bake another 10-15 minutes. Remove from oven and let cool completely! Now for the filling....in a stand mixer or in a bowl and using an electric mixer (or whisk if you are that motivated) beat your COLD heavy cream until it is whipped but not all the way to whipped cream. Add in both packages of instant pudding and whip until it is stiff. Add in milk and flavoring if you choose to use it. You could also add a drop or 2 of yellow food coloring if you felt so inclined. Whip just a few seconds longer until combined. Use a rubber spatula and clean off the sides of the bowl, give it a few folds and put aside. Now, slice your bananas and add them to the bottom of your pie crust. I used 1 but you might want to use 2 or 3 if you really love bananas! Spoon your banana cream on top and spread evenly or mound up a bit higher in the middle like I did! Whip cream until almost whipped. Add in sugar and vanilla and continue whipping until it is whipped cream! I used a piping bag and 1m tip to pipe mine on, but feel free to just spread it over the top of the pie. Refrigerate for at least 2 hours!!! Serve, and make sure to have plenty of napkins for BEFORE the pie. Your company will drool just watching you cut it! Yes, you read it right, "Marifredo". New word for you? Yea, new for me too. There is a story about this. I mean, isn't there ALWAYS a story? We attended one of my nieces college grad parties in December. The restaurant we went to was called Ragazzi's. A pizza place, that we have become addicted too. When they served our food and we SAW the pizza, we looked at each other and squelched in unison "BOARDWALK PIZZA"!! No I am not kidding, we made a complete spectacle of ourselves. Then my niece says, you have to try this "little slice of heaven". What? So she brings me a piece. It appears. 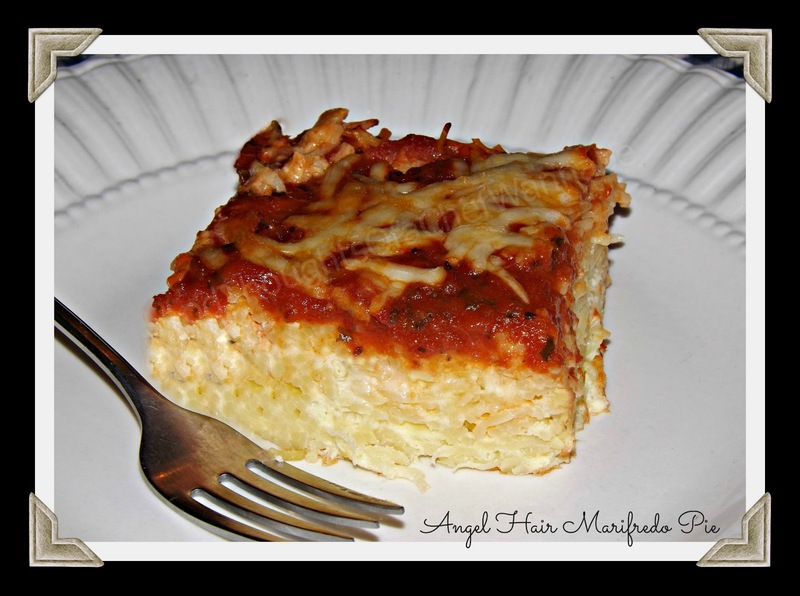 at first to like a lasagna form. Nope, not lasagna. You cut it and you can see it is spaghetti. But it comes out in a piece. I dunno, sue me but I hadn't seen anything like this really. I mean, I make Baked Spaghetti with Stuffed Meatballs, but this was so different. It was so good, VERY rich but so good! I made a plan and knew I had to try and recreate this! You know some places won't give out a secret recipe, so we kept taking small bites, trying to figure out the ingredients. Finally, I decided to go ask the manager. I was ready to play the "I have horrible food allergies so can you tell me what is in it so I know if I can eat it or not" thing. However, I decided that wasn't very good karma, so I just walked up to him and said, like a pathetic whiner, "is there any way you can tell me what is in this". The gentleman kind of laughed and said, "what do you think is in it"? I told him I thought it was alfredo sauce. He grinned. and said, "yes, and eggs, and smoked provolone" I couldn't believe the smoked provolone, I couldn't taste the smoked part at all and normally, I loathe smoked cheeses. I told him my original plan, to play a poor allergy ridden person and he just laughed and said it was actually a good idea! HA! Though I have changed up the cheese, and had no exact recipe, I think I did the best with this that I could. Would I call it an exact dupe of the real thing, eh, probably not, but would I called it an amazing crowd pleasing, soul warming, great for a crowd and best thing you have tasted in awhile? Definitely. Let's get to it. Thanks to Ragazzi's here in Omaha for the inspiration! Btw...the name "marifredo", came from my husband. We took days to think of a name for this dish! Seriously! We married "marinara" and "alfredo" and he blurted it out. I loved it! So enjoy your "marifredo"!!! This recipe is a bit time consuming but not at all difficult. Just make the alfredo sauce ahead of time so it can cool to room temp or near room temp before you start! In a medium saucepan, over medium heat, melt butter and add in flour. Whisk for a couple of minutes to cook out the raw flour taste and begin (while still whisking) adding your milk. Continue whisking and bring to a boil. At this time shut off the heat and add parm cheese, stir until melted and creamy. Set aside and let come to room temperature or refrigerate until cooled. Preheat oven to 350 degrees. Spray a 9x13 with nonstick cooking spray and set aside. Boil pasta in a large pot of salted water. Whatever the cooking time is, reduce it by 2 minutes. When it is done, drain, and against everything you know is right, RINSE it in cold water until it has cooled down. In a bowl large enough to hold your mixture, add in cooked pasta, eggs, COOLED alfredo sauce, 1 cup of shredded mozzarella cheese and using tongs or your clean hand, mix until completely combined. When you have it mixed, pour into 9x13 pan. Put into the oven for 30 minutes. After 30 minutes remove and top with marinara, spreading it to cover. Remember you only want a thin layer! Top with 1/2 cup shredded mozzarella cheese and parm. Put back in the oven for another 30-40 minutes until the center feels pretty firm when you touch it. Now, you MUST let this sit 15-20 minutes BEFORE serving. I know, killer, but you just have to! I hope you enjoy this recreation. We sure did. It is really rich so you will be able to feed an army with this pan! It freezes AMAZINGLY and we did so by the slice. Take it to work, or school for lunch! PS. Ok so maybe Geo helped me think of this word. We spent days trying to name this dish! Happy Monday! Well actually it is Sunday, but since you will be reading this on Monday we will go with that, OK? I hadn't planned on putting this up until next week but decided since it was Valentine's Day this week, you might want to make these for your Valentine! I feel like sometimes, people think food has to be complicated to be good. I see dishes with a mile long name, and think to myself, "I can't even remember the name unless I am looking right at it". Food does NOT have to be complicated! I think when you do simple flavors and do them WELL, they are the best food there is. You won't find "Roasted Lamb Lips and Root Vegetables drizzled with a beet and plum infused white wine reduction" around here. HA! I feel like chocolate cake with a sweet, creamy vanilla buttercream is a classic combination. It is like a tuxedo, elegant, classic and when well fitted is in impeccable fashion. 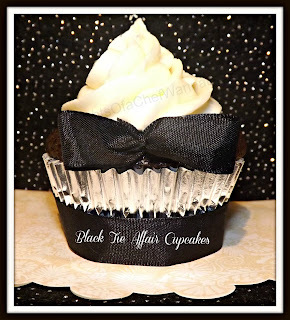 Now adding some whipped ganache to the center, is just like adding the white gloves and top hat! So, that being said, I call these my "Black Tie Affair Cupcakes" and I hope you enjoy them!! There are a few steps here, but nothing major. Don't let ganache scare you. So many people are afraid of it. It is heaven, CHOCOLATE heaven! You can do SO much with it too! So let's get started. Place chocolate chips in a heat proof bowl. In a small saucepan heat cream until just before it boils. Pour over chocolate chips, add butter, and let sit 2 minutes. Using a whisk combine cream and chocolate until combined. Refrigerate for 1-2 hours. Put into mixing bowl of your stand mixer with the whisk attachment and whip for 3-4 minutes. 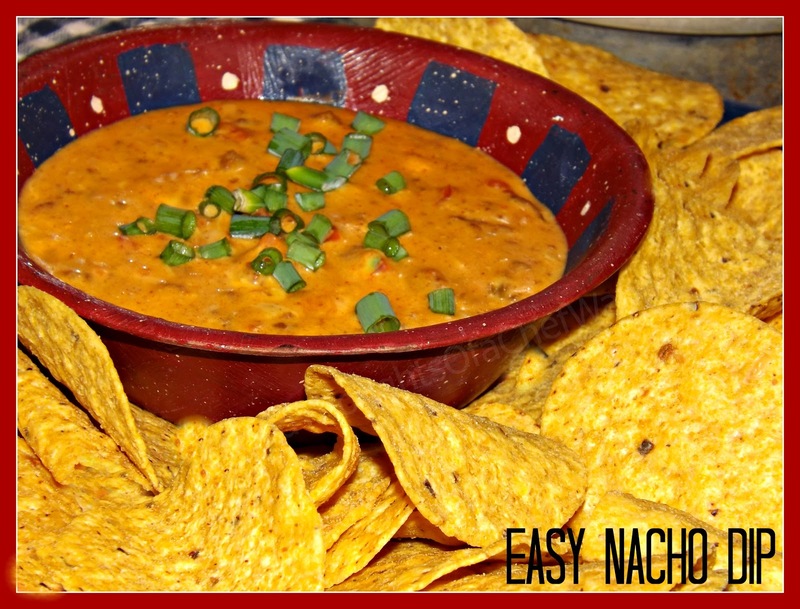 You can also use a hand mixer, chip until creamy and light. The color will change to a lighter brown color. Use a piping bag or Ziploc with the corner snipped off to fill the holes! Using the end of a wooden spoon or something of a similar size that is round, poke a hole in the middle of each cupcake. Wiggle the spoon to make the hole slightly bigger. See below. Using a Ziploc bag or a piping bag, fill each middle with the whipped ganache. Combine all ingredients in a stand mixer or with a hand mixer. Beat until creamy and fluffy. Frost cupcakes with a knife, or use a piping bag for a decorative look. Now get in the kitchen and make these!! Sweets for your sweet!! It is the moment you all have been waiting for. I had to gather strength, and courage for this one. Don't laugh, you know how difficult this chapter in my life is. I looked at it, I even moved it around a few times. I talked to it, I yelled at it. But the time has come, that we have united, for a greater cause. Me and my crocky (crock pot) have come together, on good terms to assist working parents, or anyone who needs a one pot kind of situation. You all know how I feel about crock pots. Crocky overcooks everything for me. I don't like fork tender, smooshy roast. In fact, I am not a huge roast beast fan at all. Crocky for me, is good for 2 things. Keeping chili hot during a Philadelphia Eagles game or keeping meatballs warm, during a Philadelphia Eagles game. I have nothing against anyone who loves their crocky. I get it, I really do but that doesn't mean I LIKE it. Ya know? 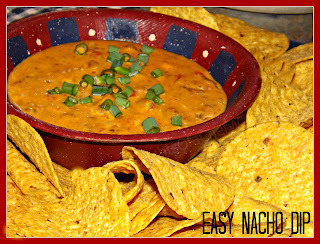 A fellow blogger said she was making this recipe once and it sounded interesting enough for me to bring crocky out of hiding. It turned out OK. It feeds a small army so I might make only half of a recipe if I were to do this again. I think it will be a hit for all of you with kids or hearty appetites to feed! I served it with some biscuits and green beans. I am going to tell you how to make it, but if I break out in a sweat, and begin to shake, just know...this to shall pass. I get nervous around my crock pot! Oh yea and you just can't photograph stuff in a crockpot well. Not this anyway so I don't apologize for this crap photo. 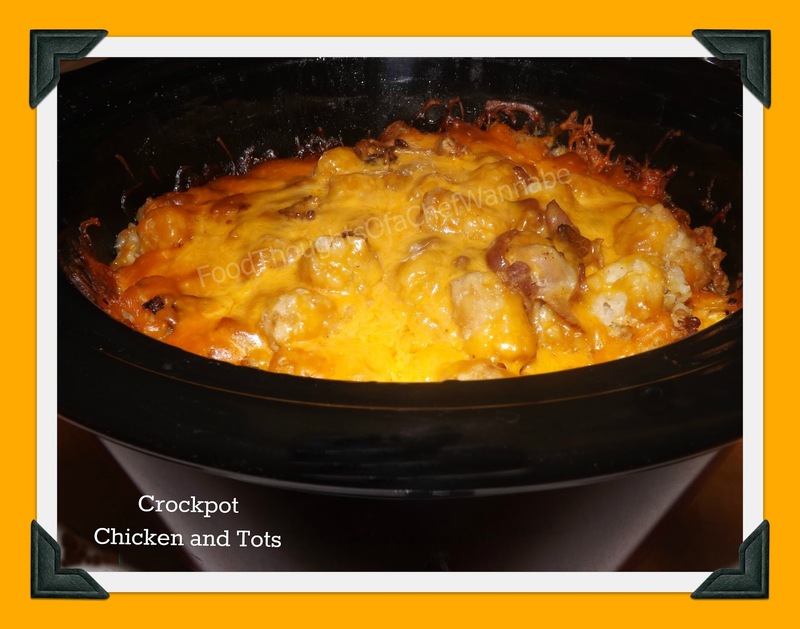 What do you expect from a crockpot?! If you have the plastic bag like crock pot liners, this would be a good time to break those bad boys out. Cleaning this up is NOT fun. You will layer your ingredients. First layer half of your tator tots in the bottom. Add 1 cup of cheese and 1/3 of your bacon. Next layer your cubed uncooked chicken, season the top of the chicken with onion powder and all purpose seasoning, 1/3 of the bacon. 1 more cup of cheese, the second half of your tator tots, the rest of the cheese and then rest of the bacon on top. Pour over 1 cup of milk and cover. Salt and pepper each layer as you see fit. Cook on high for 4-5 hours, or on low for 8 hours. We really liked this. Again I am not sure where the recipe came from, just came from a friend but I understand it is a recipe that has been around awhile. I hope you enjoy it. If you don't, I am only the messenger. We will find the creator together! HA! PS. Serve with a dollop of sour cream on top! I am certain I have eaten this before. In fact, I KNOW that I have. I can remember these being tinted green and made into wreaths at Christmas. I recall being the first to dive into them when I would see them. I know, not surprising. However, once I tried one of these, I think I had it all wrong. I think what I was diving for was simply a rice crispy treat made with cornflakes and tinted green. How could I have been so misled all these years? How could WE have been so misled? Complete deception. This is dubbed a "southern treat' just about everywhere you look. I think anything involving peanut butter is a treat period. Southern, northern, eastern......yes, even western! HA! My recipe research turned up many variations. In fact, I found some of the variations downright odd. I did a test batch, and then altered it to what I thought it should be. I wanted a little crunch, a LOT of chew, and that sweet peanut butter taste. I got it. I am glad I did, and to be honest, it wasn't really difficult. These are so good and so EASY. I mean seriously, so few ingredients, and likely all things you already have on hand! I did them individually, but you are more than welcome to butter up a pan and make them bar style as well. It just seemed more traditional to me to do them as individually and spoon them out. These are perfect for holidays, or just if you need a quick treat! Now in case anywhere in the last 3 paragraphs you got the impression these were healthy, I will correct you now. BEFORE you read the ingredients, just sit down and find your center........it will be OK. In a large saucepan combine corn syrup and sugar. Heat on low until sugar has dissolved and mixture begins to boil. Stir constantly for 1-2 minutes while boiling. Remove from heat and add in peanut butter and vanilla. Stir until completely combined. Add in cornflakes, one cup at a time. You can decide what consistency you like, or when you have enough. Make sure to measure them out in advance as the mixture cools quickly!! Drop by spoon full. 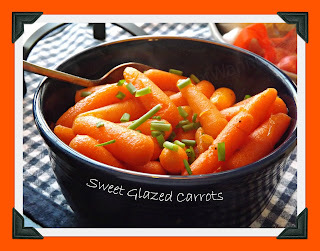 on a parchment lined baking sheet or butter a 9x13 pan and spread them out. Let cool in the fridge for at least 1 hour before cutting or serving! See how easy they are?! They will be a hit!